I seem to have had a run of very good luck. Your [Tillotson] tree is verified back to 1816 with the census and before that, other researchers have the family back to the 1750s in Connecticut. It was an early family. Lots of families moved west around the time of the Civil War, and some of these very earliest families seem to have gravitated toward Nebraska. It does not surprise me at all to find a New England root for your family. Charles [father of Reginald] was the son of John W. Tillotson, and his father was John W. Tillotson. They came from Cazenovia, Madison County, New York. The younger John moved to Missouri, then Iowa, then Nebraska. The online researcher has an Ephraim as father of the older John, and an Abraham before that. (I have evidence that Abraham Tillotson served in the Revolutionary War, and got a pension.) The researcher said they came from Hebron, Connecticut. I have not chased down wives. The elder John had a good amount of land—220 acres—in 1860, improved and worth quite a bit of money. One webpage has data as far back as the 17th century. 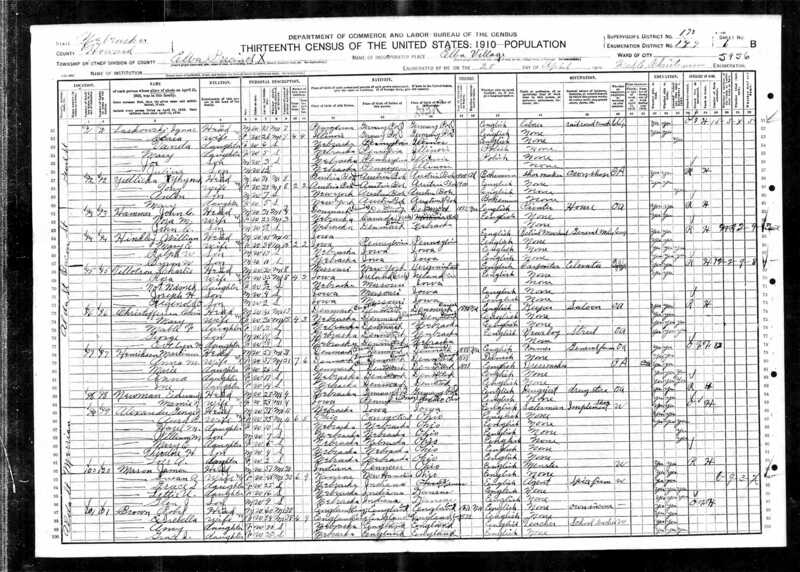 The 1910 census reveals important information. Charlie and Rose Tillotson were 30 and 35 years old, respectively, were able to read and write, and lived on Alda Street in Elba, Howard County, Nebraska. (The seat of this east-central county is St. Paul.) They had already had brought Joseph, age four, and Reginald, age two, and an as yet unnamed baby daughter into the world. Both boys were born in Iowa, but the girl, undoubtedly Mary, had been born in Nebraska, so the Tillotson family had come there within the last two years. Charlie’s occupation is given as carpenter, his place of occupation was an elevator, he evidently had employees, and the family rented a house. This entry was posted in J.H. Tillotson, Contractor, Joseph H. Tillotson, Mary V. Tillotson, Reginald Oscar Tillotson, Rose A. Tillotson, Tillotson Construction Company and tagged architecture, Business, construction, grain elevator, Reginald O. Tillotson, slip-formed concrete, Tillotson Construction. 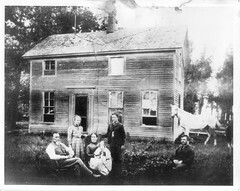 I’ve been researching the Tillotson family, as we live in a Cazenovia farm house owned and occupied by Ephraim Tillotson (1786-1864) and later, his son, Ephraim Benton Tillotson (1814-1894). John Wadsworth Tillotson was Ephraim’s son and Ephraim Benton’s half brother. Their grandfather, Abraham (1756-1821), a Revolutionary War veteran, was among the earliest settlers in Cazenovia, arriving around 1795.